I have always been a fan of Filipino singers who made their way from the bottom to the top and yet remain humble and kind. One of those singers I'm talking about is Sarah Geronimo whom in my opinion managed to keep her feet firmly rooted on the ground from her beginnings to her rise to fame. So it's no surpise to me whenever she gets tapped by big brands to endorse them because she embodies what the youth today should be. 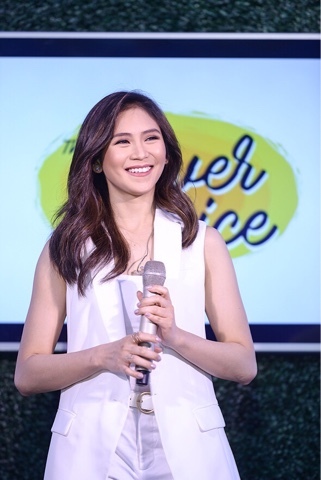 Sarah recently graced the Kamillosan event and here's how it went. Your voice plays an integral part in your everyday activities. However, it is inevitable that your lifestyle could take its toll on your voice, like when you get sore throat. Sore throat is normally caused by viruses or bacteria. That’s why sometimes beyond just irritation or itchiness, you feel pain in swallowing and swelling. Several other things can cause sore throat. In a tropical country like the Philippines, there are different factors that can take a toll on your system. Changes in temperature and weather can affect your throat. Other factors of sore throat are also airborne such as outdoor pollution, allergens in the air, smoking cigarettes, and second-hand smoking. Excessive and forceful usage of your voice can also cause muscle strain. Presenting Kamillosan M Spray – a clinically proven all-natural sore throat spray solution. It contains 8 active ingredients that effectively soothe and relieve sore throat. These 8 ingredients (Chamomile extract, Methyl salicylate, Peppermint oil, Sage oil, Anise oil, dwarf pine needle oil, Bergamot oil, Cineol) – work together in fighting and treating sore throat. Its main ingredient, Chamomile, acts as an anti-inflammatory agent to reduce pain, swelling, and redness. Combined with the anti-bacterial effects of essential oils such as Peppermint, Sage, and Bergamot, Kamillosan M is highly suited for sore throat relief. The natural ingredients also lend to the minty fresh sweet aftertaste, unlike the other medicinal throat sprays in the market today. Kamillosan M Spray is from A. Menarini Philippines, which belongs to one of the largest Italian biopharmaecutical groups, Menarini. Last April 21, 2017, Kamillosan launched its latest campaign with a new endorser at Discovery Primera. 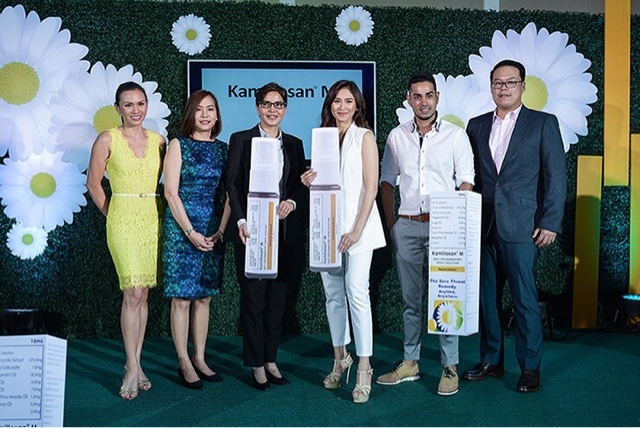 This was also the venue where Kamillosan launched its Speak Up advocacy – in the hopes of making the brand mean more to the market beyond just providing relief from sore throat. While waiting for the event to start, guests were requested to participate in the Kamillosan video booth, and record their answers to the question, “How do you encourage people with the power of your voice?” These videos were then shown at the end of the program and uploaded on the brand’s official Facebook page, Kamillosan PH. The actual event kicked off with a brief welcome and introduction from A. Menarini Philippines’ General Manager, Ninia Torres. This was followed by an overview on sore throat by Dra. Clarissa Fortuna, supported by a product discussion from the brand’s medical manager, Dr. Gabby Santos. 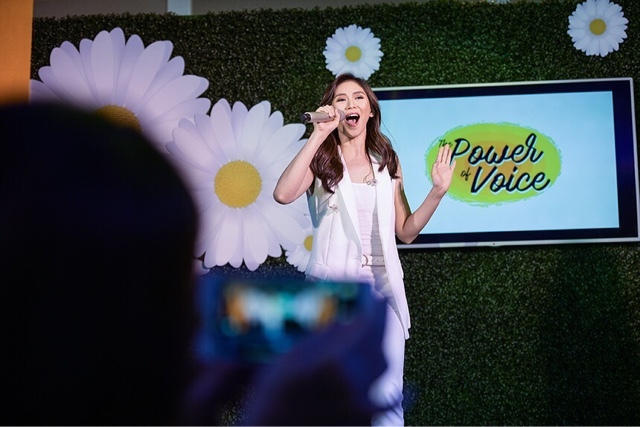 But the voice that got everyone speaking up was Kamillosan’snewest endorser – Sarah Geronimo. She charmed everyone in her grand entrance as she powerfully sang and captured hearts, as she always does. 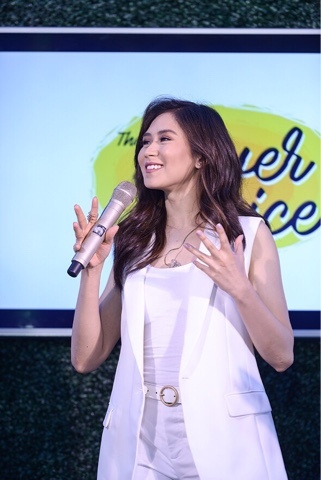 Sarah also shared her own singing journey which highlighted how she learned to be an inspiration and motivation to others by power of voice and positivity – making her the perfect fit for Kamillosan’s Speak Up campaign. “The essence of our campaign is to really encourage people to speak up with the help of Kamillosan. 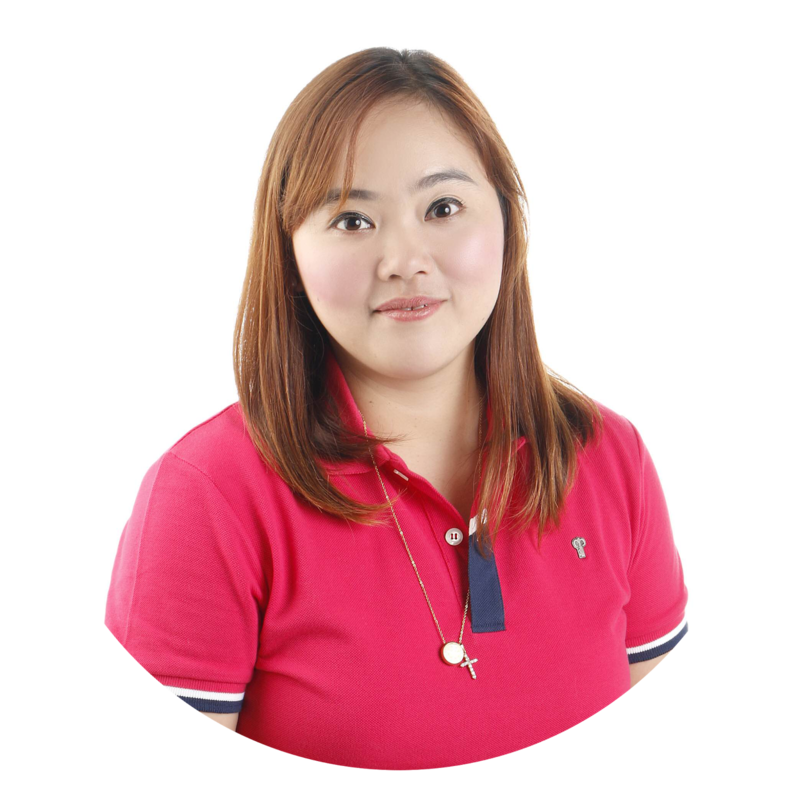 Just like Sarah, we hope to inspire people to pursue their passion without any hindrance along the way, especially sore throat,” shared Patty Nuqui, Marketing Director of Kamillosan. 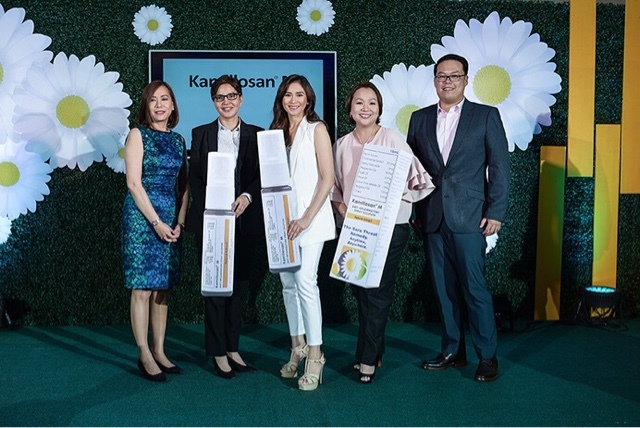 “We are truly proud and delighted to have this opportunity to not just introduce a product we support and believe in, but to have Kamillosan take the higher ground and mean more to people than just a product for sore throat,” A. MenariniPhilippines’ General Manager, Ninia Torres, added. The event ended on a high note, with some of the guests creating cheers that captured the essence of Kamillosan and the Speak Up campaign. To know more about Kamillosan, visit www.kamillosan.phand like Kamillosan PH on Facebook. Kamillosan is available in all leading drugstores nationwide at Php428.00 SRP. A 15mL bottle of Kamillosan is good for 104 sprays.